Pre-Tested Commit: No broken code in your version control. Ever. 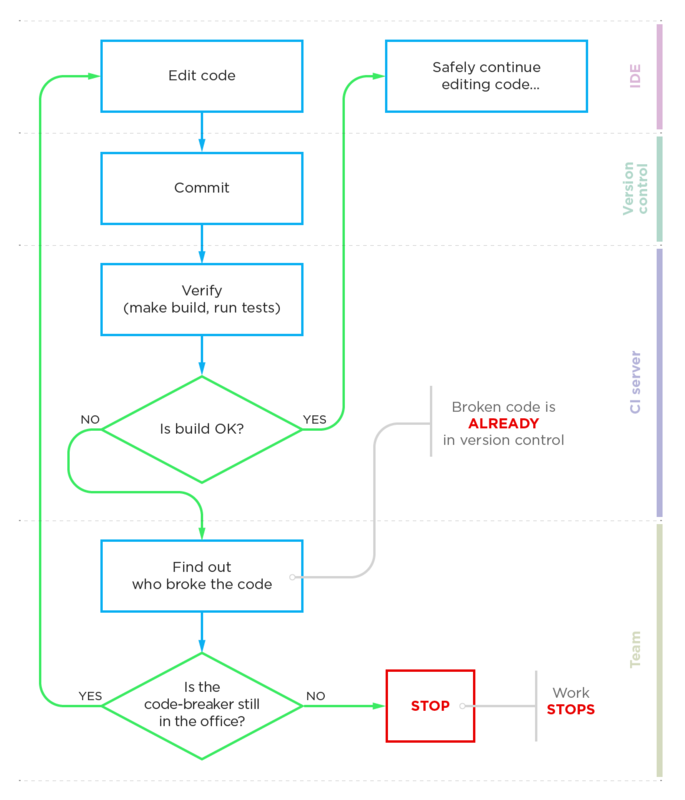 Typically, your team submits code to Version Control BEFORE verifying that it works, and risks breaking the build every single time — causing more problems than necessary. Here is how TeamCity is different. 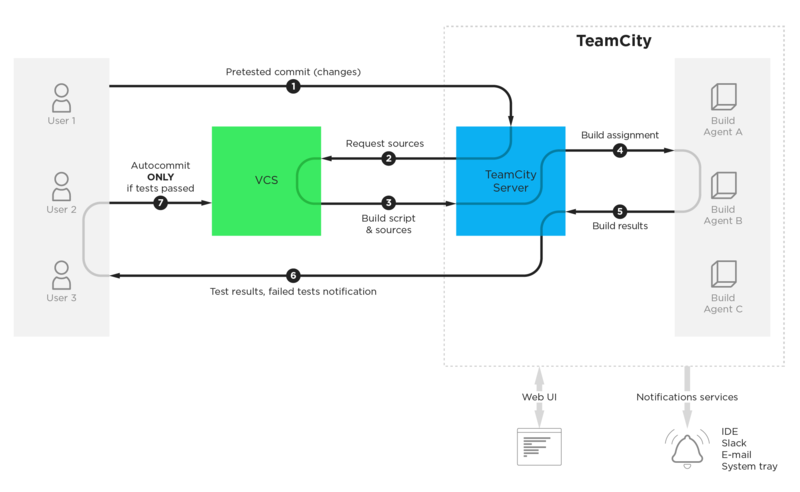 Unlike the standard scenario (edit, commit, verify), TeamCity's Pre-tested Commit feature allows you to remotely verify your changes BEFORE committing them to the VCS. If your changes pass, TeamCity (in cooperation with your IDE) AUTOMATICALLY commits them to Version Control. If they fail, your code won't be submitted to the VCS and you'll receive a notification (by email, IM, your Windows System Tray, or in your IDE), allowing you to fix the failed code immediately. And unlike the standard scenario, you'll always know WHO broke the code. 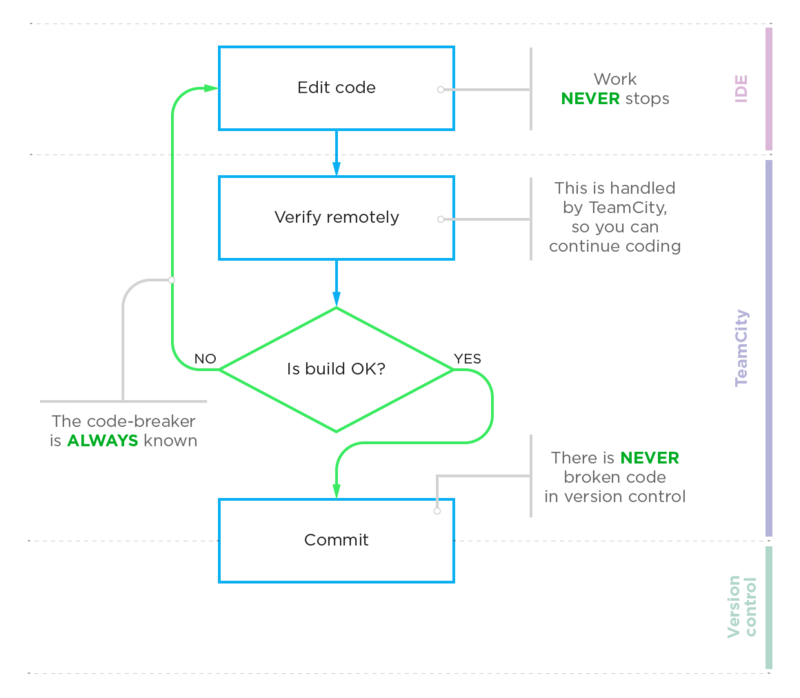 Most importantly, your team never stops working and there is never broken code in your Version Control. And that's not the only big difference in TeamCity.